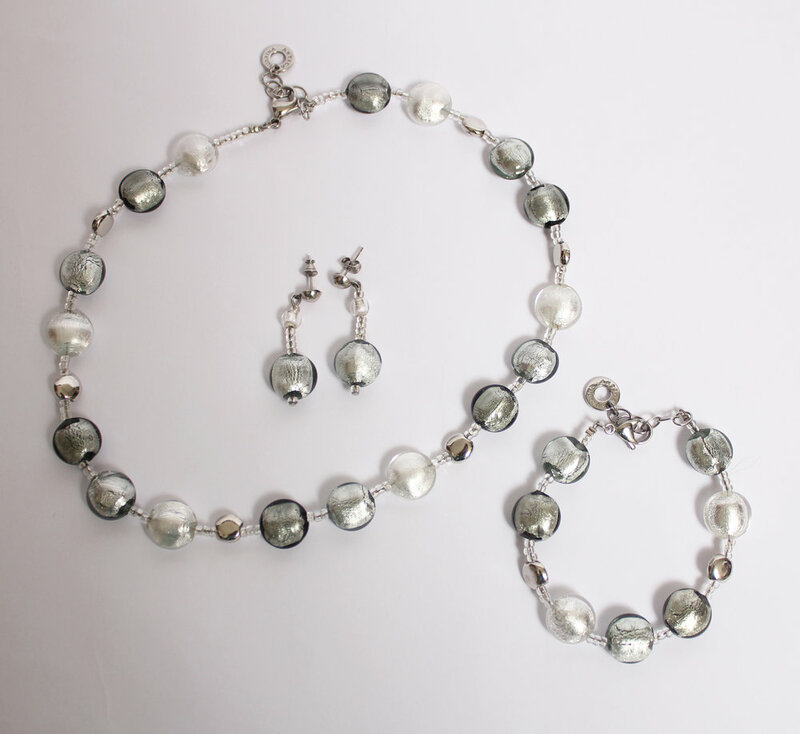 Matched Jewelry Sets can be striking, but you don't always have to play it so safe. Jewelry is a GREAT way to express yourself. so have fun! ... be creative! Here are some tips on how to make it work. If you're wearing a Statement Necklace, choose earrings that complement it without competing. They don't even have to be made of the same material. 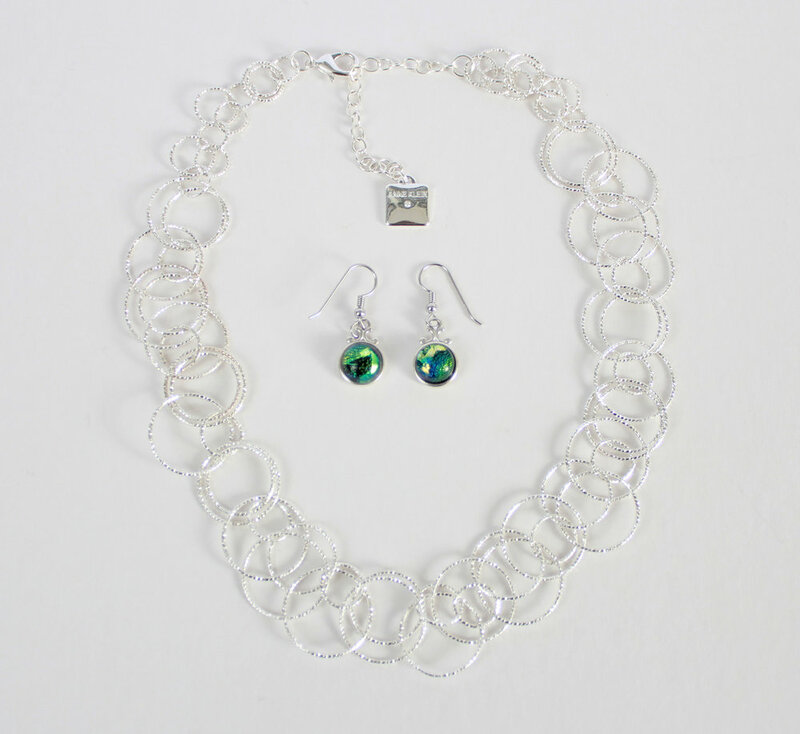 This sterling silver necklace looks fabulous with a pair of silver glass earrings. The green glass is simple, but really adds a lot. The silver color and round shape bring it all together. You’d be amazed by how much glass can resemble opals. This geometric glass pendant has a lot of the same colors as my inlaid opal bracelet. They go together beautifully! Don’t wear more than 2 matched pieces at a time. This is one of my favorite sets. I absolutely had to have all 3 pieces, but that doesn’t mean that I wear them all at once. It’s far more interesting to mix in a pair of glass earrings, or to wear the necklace and earrings with a tennis bracelet. Check out Glass Infused Elegance. A bit of glass may be just the thing to enhance your jewelry collection!